designing and prototyping zero waste bags. My mission to creae a zero waste sample making process and to seek low impact materials, aligning with my mission to reduce waste and use of water. The work here includes brand design, with handmade prototypes. The fashion and textiles industries are one of the most significant contributors to global pollution, economic imbalanced for overseas garment workers, as the entire process of creating garments usually hidden from the consumer. Fashion markets a fictitious lifestyle that consumers buy without knowing the full impact. There is a greater need for corporate transparency and consumer education on fashion's adverse effect. The topic of toxic masculinity and its adverse effect on the environment has seen prominence in the various studies and media. "It's not that men don't care about the environment. But they also tend to want to feel macho, and they worry that eco-friendly behaviors might brand them as feminine," it is stated in Scientific American. The same study reveals that men find it to be more difficult than women to choose between masculine and feminine versions of everyday food and household items, and will usually alter their preferences to be more manly when allowed time to ponder over their options. Most of the eco-friendly brands existing in the marketplace are designed to attract the female audience, with very few that is "manly." The results inspired my brand design direction, with a goal to create a design language that will appeal to both genders. Influenced by streetwear and graffiti symbolisms representing the life cycle of organic matter in which waste becomes food. The natural life cycle is the foundation of the Circular Economy. The real challenge here is finding the balance in the design system that can apply to men's and women's products that won't deter men from purchasing. In most factories, textiles waste accounts for 10 - 30% as this happens during the preparation of fabrics for construction. Almost all garments and accessories consist of curves and odd shaped pieces to achieve proper fitting onto the human body. 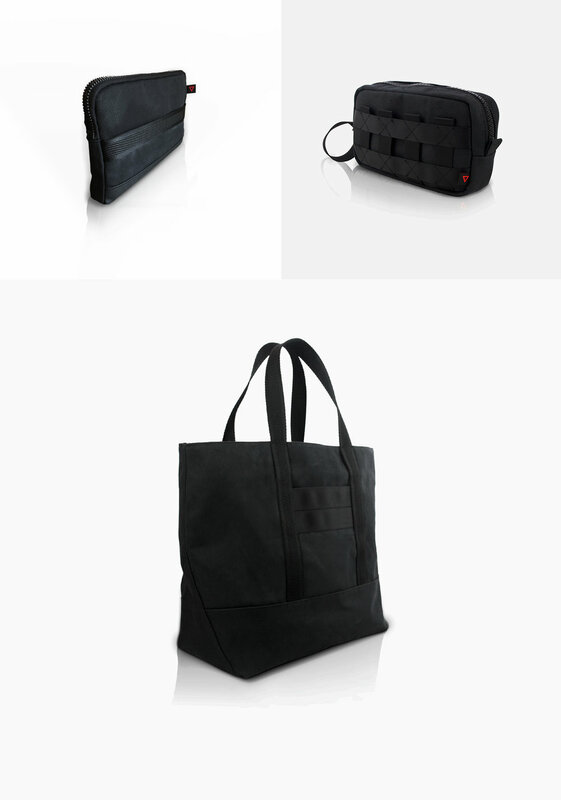 To reduce waste at the production stage, I designed the bags with fewer curves and created a manual sorting process to separate textile and paper waste that could recycle. In NYC, Fabscrapscollects textile waste from fashion companies around the city, volunteers at their Queens facility separate items into resell-able, and small scraps get recycled into building materials. Mass production of unsold garments often becomes waste, as retailers discard them in landfills. Low-quality fast fashion products last only a few washes, creating more waste while straining our natural resources and labor force. This problem compounded by their increasing number of seasons clothing is released, traditionally fashion has four seasons, but companies like Zara increased delivery with new merchandise every few weeks has dire consequences for the environment.